The Blue River Community Foundation is proud to partner with Lilly Endowment, Inc. to select one Shelby County high school senior as a nominee for the 2019 Lilly Endowment Community Scholarship Program. Independent Colleges of Indiana on behalf of Lilly Endowment, Inc. will make final scholarship selections and notify the Blue River Community Foundation of their decision by December 8, 2018. BRCF will notify the recipient of the Lilly Endowment Community Scholarship by December 19, 2018. The Lilly Endowment Community Scholarship Program is designed to raise the level of educational attainment in Indiana and further leverage the ability of Indiana’s community foundations to improve the quality of life of the state’s residents. The Lilly Endowment Community Scholarship provides full tuition, fees, and a special allocation of up to $900 per year for books and equipment for four years of undergraduate study on a full-time basis, leading to a baccalaureate degree at an accredited Indiana public or private college or university. The application deadline is September 1, 2018.  - Community/School Activities: Recipients will have a record of sustained, meaningful service to their community, OR sustained, meaningful school activity OR both. - Academic Commitment: Recipients will demonstrate a strong commitment to academics and will have a minimum of a 3.5 GPA, and have a minimum 1100 SAT total score or 22 ACT comparable. - Character/Maturity/Leadership: Recipients will be of good character and will represent the Shelby County community in a positive fashion. - Unique Circumstances: Consideration will be given for unusual personal, family, or financial circumstances or challenges. The Blue River Community Foundation (BRCF) is pleased to announce the recipient of the 2019 Lilly Endowment Community Scholarship for Shelby County. This prestigious award grants full tuition to any accredited public or private college or university in Indiana. In addition, it provides an annual stipend of $900 for required books and equipment. Shelby County’s 2019 recipient is Stewart D. Douglas. Stewart is the son of John and Monica Douglas of Flat Rock. He will graduate in May from Waldron Jr. Sr. High School and plans to attend Purdue University to pursue a degree in agricultural economics. At the time of application, Stewart was ranked first in his graduating class and his GPA was 4.48 on a 4.0 scale. He is involved in several extracurricular activities including; National Honor Society, Future Farmers of America (FFA), student council, 4-H, and cross country. Over the course of high school, he has received numerous academic accolades, as well as awards for essay and speech competitions. Stewart also demonstrates his ability to lead by serving as President of the Noble Happy Harvesters 4-H Club, the Shelby County 4-H Junior Leaders Health and Safety Officer, and the 2018 Hoosier Boys State Party Parliamentarian. Although Stewart is an extremely busy young man, he still finds time to serve his community. He has devoted several hours to his church, Shelby County 4-H, and Waldron Elementary School. After thorough review of each application, which the Foundation’s scholarship committee does in the blind (applicant’s names are removed from viewing during this phase of the selection process), six finalists were selected for a personal interview. Selection criteria considered during the interview include determination, decision making skills, knowledge of what is required to succeed in college and the ability to apply that knowledge, goal orientation and evidence of life planning, and intellectual curiosity in the student’s chosen field. In addition to Stewart, Jenna Kuntz (Southwestern High School), Blake McClure (Southwestern High School), Addison Mummert (Shelbyville High School), Jonathan Riggins (Triton Central High School), and Hannah Sullivan (Waldron High School) were also interviewed for the scholarship. Due to their exceptional resume of academic and personal achievements, these five students will receive a four-year renewable scholarship from one of the 84 scholarship funds administered by BRCF. Independent Colleges of Indiana (ICI) oversees the administration of the Lilly Endowment Community Scholarship program statewide and provides final review and selection of the recipients. ICI is a nonprofit corporation that represents 30 regionally accredited degree granting, nonprofit, private colleges and universities in the state. Since the Lilly Endowment Community Scholarship Program was first offered in 1998, one of the primary goals of the initiative has been to raise the level of education attainment in Indiana. Although Indiana still ranks among the lowest states in the percentage of residents over the age of 25 with a bachelor’s degree, the program awards 143 scholarships to deserving Indiana students each year. Learn about opportunities to earn cash for college. Questions about the Lilly Endowment Scholarship? Contact Julie Alvis, Youth and Education Program Officer.